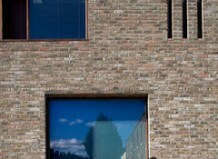 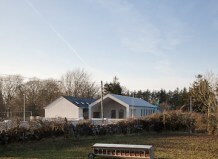 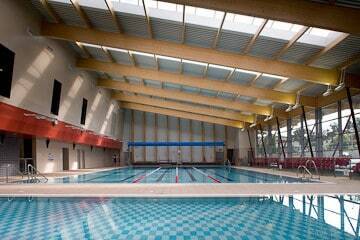 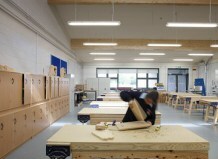 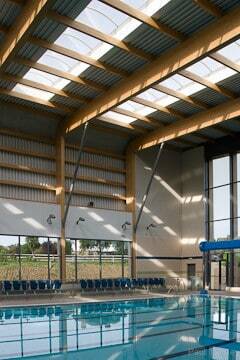 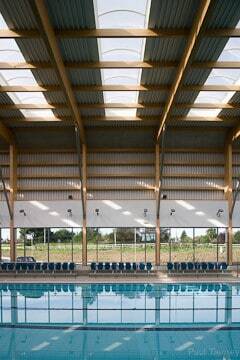 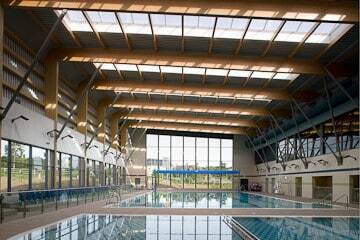 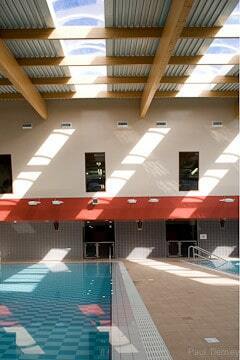 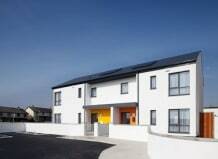 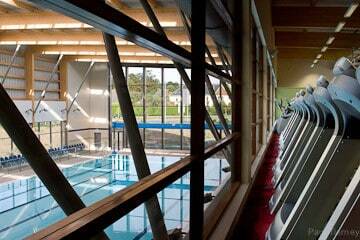 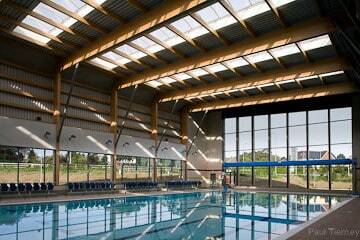 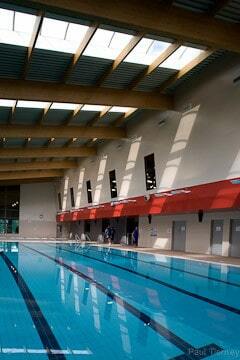 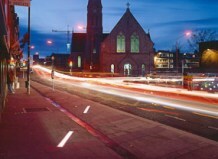 Architectural Photography of Greystones Leisure centre for S+P Architects Ireland. 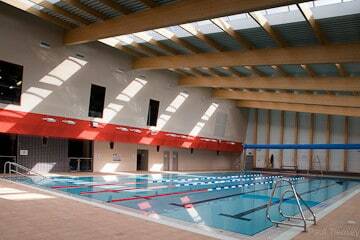 Sport and Leisure facilities can provide dynamic structures and expressive shapes that allow creative architectural photography of these buildings. 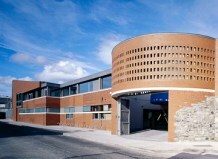 Bray and Greystones leisure centres had recently benefited from a completion of sports centres at the periphery of the town.